The GeekHiker | Just the journal of a guy. Who's a geek. And a hiker. Betch'a didn't see that coming, eh? I’ve done a number of hikes since I’ve arrived here on the Central Coast, but I’m just getting back into the swing of actually writing about them. Islay Hill, a short, somewhat out-of-the-way climb, seems like a good place to start. Islay Hill is actually the last in the chain of morros in the area. The morros are a line of ancient volcanic peaks, nine in total, that start at the more famous Morro Rock at Morro Bay along the coast and stretch all the way inland to just south of the city of San Luis Obispo. Among the more popular morro climbs are Bishop Peak and Cerro San Luis, both of which are close to town and both of which, I’m sure, I’ll write up soon enough. I suppose it’s time that I write an update, if for no other reason to remind myself that this little blog exists and that I really should be writing more on it. Not really out of a sense of obligation, but because I remember writing being something that once brought me a lot of joy. Besides, I bought the domain name last year. As I mentioned in my previous post, I’ve been reading Mark Twain’s “Roughing It” off and on for a few days now. After a blisteringly hot 110 degrees on Saturday (that’s 43° C for my more logical metric friends), Sunday the temperature dropped into the 80’s (30’s) with a nice delta breeze kicking in: the absolute perfect day to sit in the shade with a cold drink and a good book. 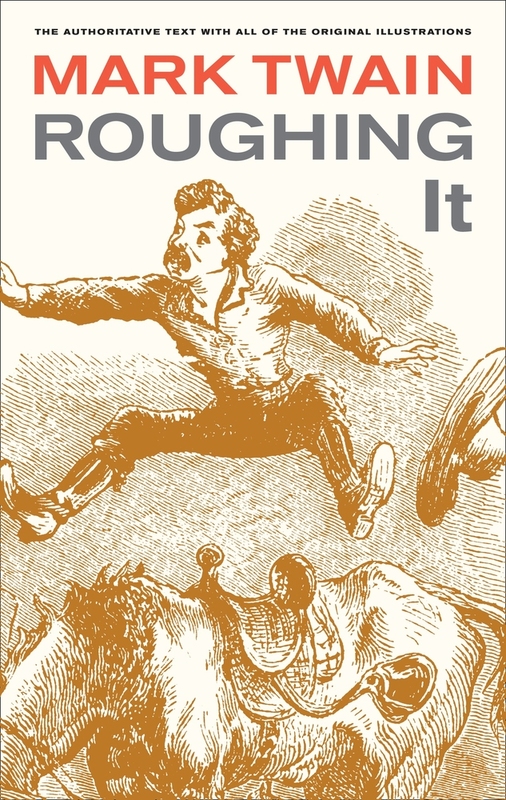 In “Roughing It” Twain describes his travels and experiences from 1861 to 1866. During this period, Twain journeyed by stagecoach from the Midwest across the Rockies and the Great Basin to Nevada, then spent time in San Francisco and California, and finally traveled across the Pacific to the Sandwich Islands (better known today as the Hawaiian Islands). Why is it easier to get rid of the big stuff than the small stuff? When I moved out of my old apartment and placed things into storage, I had to get rid of a lot of stuff. A LOT of stuff. In many ways it was cathartic, going through piles of outright junk and unceremoniously tossing it in the recycling bin or the trash. While I do own a few nice things, collectibles and such, which I did keep, the Parentage were wonderful as a second pair of eyes to say “just get rid of it” to everything else. One of the things I discovered along the way is that it’s a lot easier to get rid of the big stuff than the little stuff, and I have no idea why. Nestled in the Sierra Foothills near Auburn, California, Hidden Falls Regional park is one of the nicest examples of lowland foothill country you’ll find around. With its expansive trails, mixture of chaparral, oak, and pine woodland, Hidden Falls is a popular place with hikers, mountain bikers and anyone who enjoys a little peace and quiet. As of this weekend, Hidden Falls has expanded nearly five-fold, from 200 acres to about 1200, with miles and miles of new trail. I’ll go out there shortly, to explore it all. (Astute readers may recall that this was the park I’ve done a couple of volunteer stints in over the past few months, building trail and installing signs.) This hike, which lies entirely within the original boundaries of the park, loops back and forth, covering about six miles and most of the trails within the area. You can shorten the hike at a number of points, creating a hike perfect for your abilities and time.